Seven new animal species and a growing giraffe population call the new, 50-acre preserve home. Natural Bridge Wildlife Ranch’s 100-year legacy in land heritage continues with the opening of Tower Creek, the Ranch’s largest expansion to its 400-acre preserve in 15 years. Tower Creek, the newest expansion at the Wildlife Ranch, opened this spring. 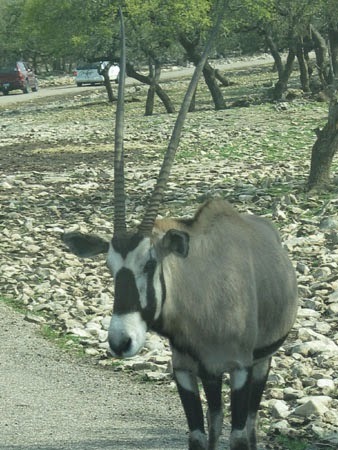 The 50-acre expansion traverses Cibolo Creek and is home to seven animal species new to the ranch, including Impala, Zebu, Grant’s Gazelles, Sable Antelope, as well as African endangered species Nile Lechwe, Arabian Oryx, Dama Gazelle, and Bongo Antelope. Reticulated Giraffes roam in an open enclosure environment in the center of Tower Creek. 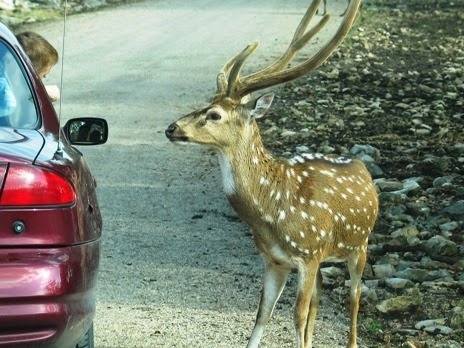 It’s the first time in the ranch’s history where visitors are able to feed the Reticulated Giraffes from their vehicles. The one-year old twin Reticulated Giraffes, Nakato and Wasswa, born in 2013, are thriving and have proved to be a big attraction at the Wildlife Ranch. Their enclosure remains at the entrance of the ranch for their safety, allowing ranch personnel easier access for feeding and care. 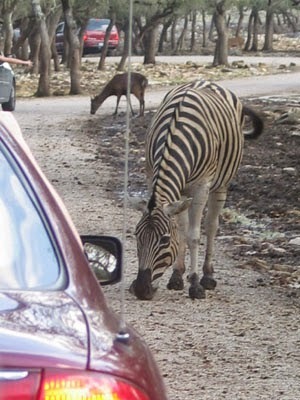 on the Wildlife Ranch's road. Over 31,000 cubic feet of limestone was milled from the bluff over Tower Creek, which was used to build the 2-mile road through the expansion. Visitors are able to see the depth of the limestone rock wall, which is exposed at the expansion’s entrance. “It’s a unique opportunity to see the geology of the Texas Hill Country,” said Soechting. The Safari Sweet Spot, the Ranch’s new eatery that offers ice cream, fudge, and candy, is located under a grove of oak trees in Tower Creek, providing visitors a unique perch to watch the giraffes roam. “It just brings people closer to the giraffes and gives them a comfortable space to see the giraffes frolic, run, and play,” Soechting says. an appreciation for unique animals. 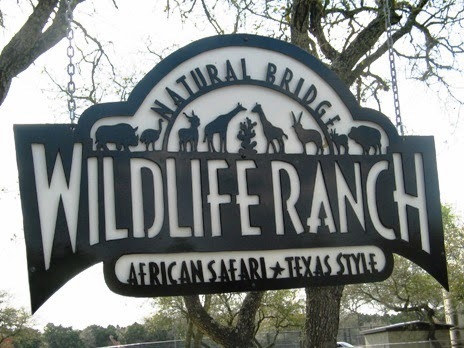 Opened in 1984, Natural Bridge Wildlife Ranch has become one of Texas’ most recognized entertainment attractions. The Ranch covers 450 acres of Texas hill country terrain and provides 6 miles of paved roads where guests drive through and witness the natural animal behaviors of over 500 animals from 40 exotic, native, and endangered animal species worldwide. The natural, free-roaming environment is home to many unique animals, including Southern White Rhinoceros’, North American Buffalo, Reticulated Giraffes, as well as many zebras, emus, ostriches, elk, gazelle and wildebeests. While there, plan to spend time touring the caves and enjoying Discovery Village, the newest addition at adjacent Natural Bridge Caverns. Located near New Braunfels, the Natural Bridge attractions are conveniently situated between San Antonio and Austin.